New Delhi: Now even purely religious bodies have been dragged into the election war. 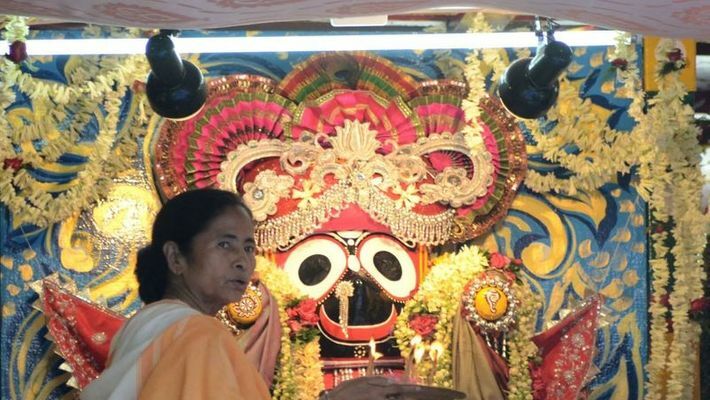 A video has gone viral on Twitter in which the International Society for Krishna Consciousness (ISKCON) is shown batting for Bengal chief minister Mamata Banerjee for the upcoming general election. According to the video, Mamata had removed land acquisition hurdles for the construction of an international city on 750 acres in Mayapur. The video made a "humble request to all followers of ISKCON to vote wisely for the leader who had stood by them in the hour of crisis". However, the religious society, which has a large global following, was shocked and had to issue a clarification, declaring the video to be fake. Therefore, it could well be part of a plan by the Trinamool, which is alarmed by the steady rise of the BJP in Bengal. The ISKCON stated that it came to know from media reports about a video circulating on social media, claiming to have been produced by the organisation, and asking followers to support a particular party in Bengal in the general election. 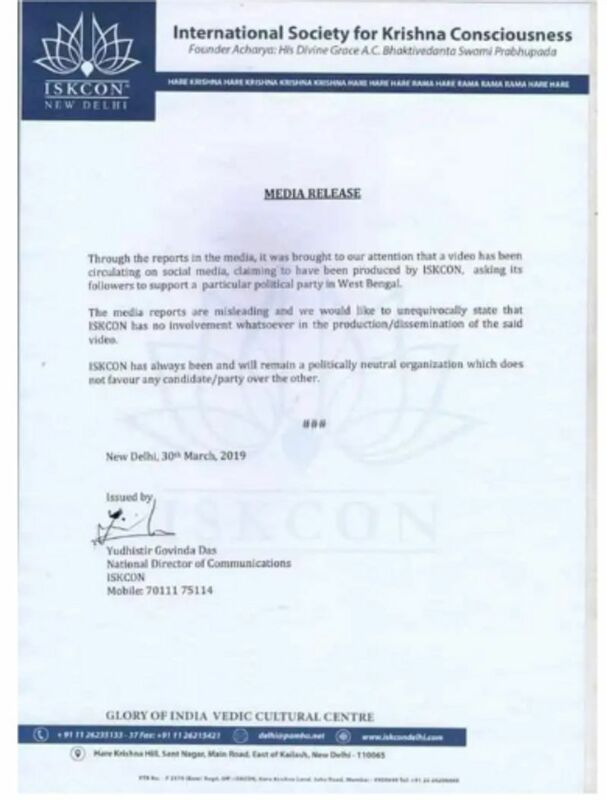 "The reports are misleading and we would like to unequivocally state that ISKCON has no involvement whatsoever in the production/dissemination of the said video," the society said. "ISKCON has always been and will remain a politically neutral organisation which does not favour any candidate/party over the other," it added. The statement was issued by Yudhistir Govind Das, the national director of communications for ISKCON, on March 30. Ritesh Tiwari, Bengal BJP's general secretary, told MyNation that the Trinamool had mastered the art of deceiving voters and this was just another chapter in the same book of subterfuge. Tiwari "shamed" Mamata on Twitter too. "How shameful is this by @AITCofficial supporters. Make a fake video showing #ISKON appealing to its disciples to support @MamataOfficial and #TMC. Iskcon issues an official press release against it..."